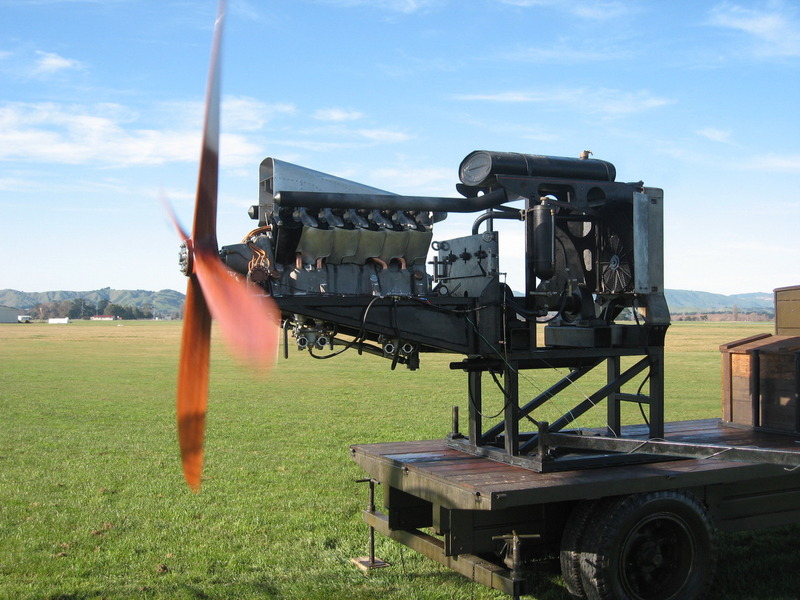 "The RAF4a engine is an air-cooled V12, based largely around the eight cylinder RAF1a engine, and incorporates a number of parts and design features from it." The RAF4a was designed by the Royal Aircraft Factory and produced by both Daimler and Siddley-Deasy. In fact Daimler went on to produce airframes in addition to engines, the types included the RAF BE.2c, BE.12 and even the RAF RE8. 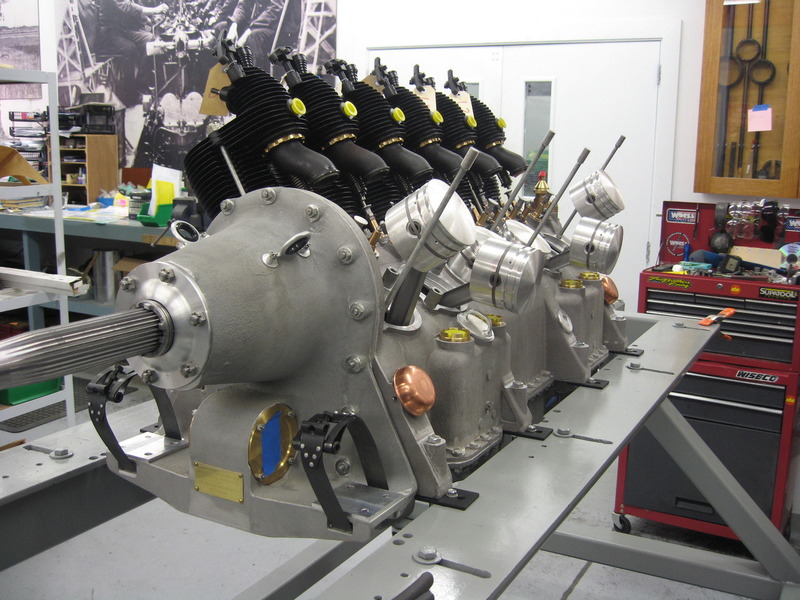 As these engines are very rare, and with no flying 4A’s in existence, the only option for The Vintage Aviator to secure one for the RE8 project was to reverse engineer an original engine. Although in a relatively poor state, the borrowed engine was an excellent source of the engineering data required and enabled our engineers to reproduce all parts as close as possible to their original specifications. This is a very important aspect of The Vintage Aviators philosophy of not altering any items, so that these engines are a true reflection of the original. As with most of the in line engines of this period, the crankcase is of cast aluminium construction and is in 4 parts; the upper, lower, front and rear housings. The propeller is driven at half crankshaft speed, taking its drive from a large straight cut gear which also drives the camshaft. This front housing is of a fairly robust construction as it must endure a load imposed by direction change of the aircraft, and also incorporates a double thrust bearing which enables the engine to be used in both tractor and pusher applications. In fact a number of RAF5a engines (the pusher version of the RAF4a) were used to power RAF FE.2b aircraft. The crankshaft is of hollow design and manufactured from forged steel. The crankshaft has six pairs of big end journals arranged at 120⁰, this with a 60⁰ cylinder arrangement, gives a power stroke every 60⁰. 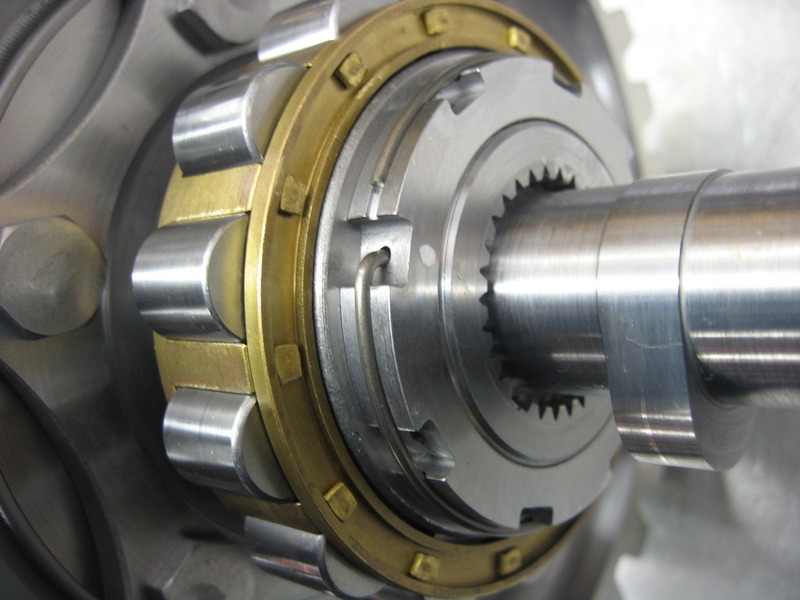 The crankshaft runs on seven roller bearings which are able to be eased over the crankshaft during assembly, and are fixed in place by two half wedges. The connecting rods are identical to those used in the RAF1a engine and also incorporate the use of white metal for the big end bearing. A cast aluminium piston with just two compression rings is used, there is what appears to be a third ring, but is in fact a spring steel clip to secure the gudgeon pin. The cylinders used on the RAF4a are again the exact same unit as used on the RAF1a engine; these are cast iron with the exhaust valve above and intake valve below the combustion chamber. The exhaust valve is a light weight hollow design. 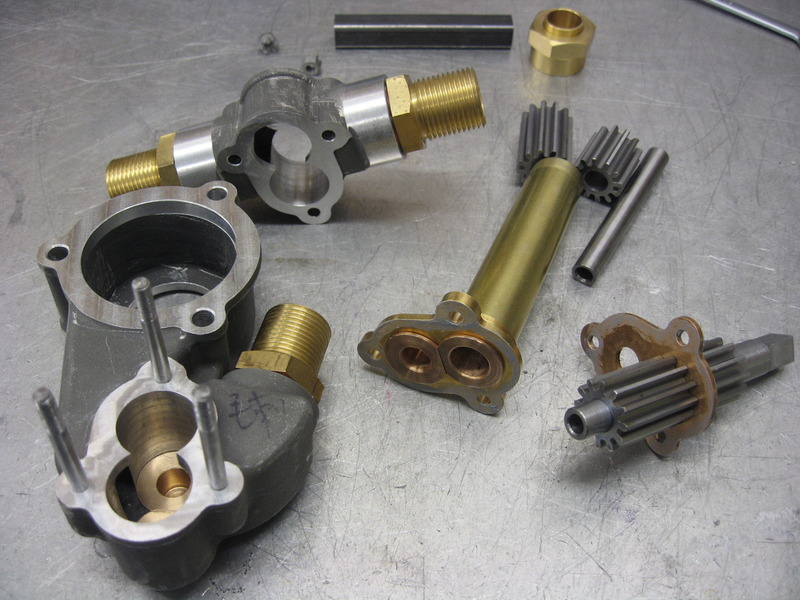 Lubrication of the 4A, although similar in some respects to the 1A, has the addition of an oil pump incorporating both a pressure and scavenge function. The engine is usually run as a dry sump, although additional oil can be added to the sump for longer flight times. 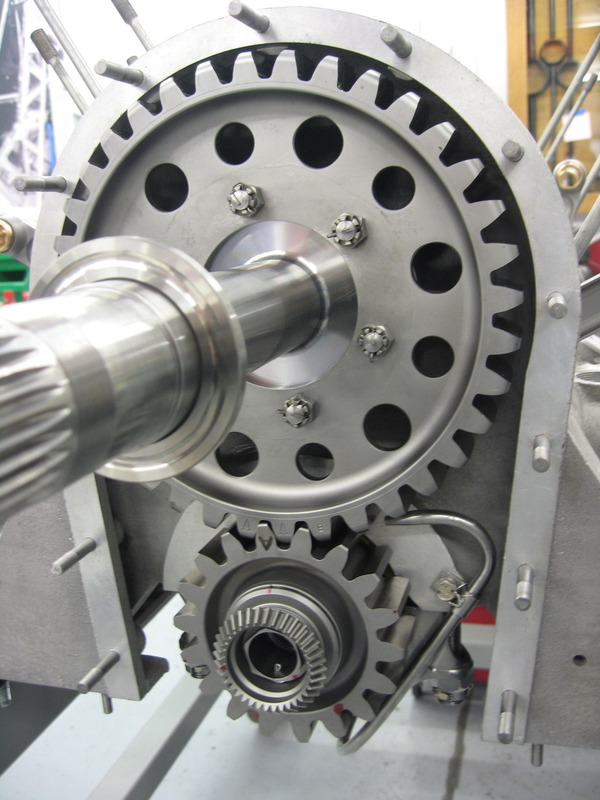 Pressure feed oil is supplied via oil pipes to the drive gears and to the big ends via a slinger arrangement similar to the 1a. The RAF4a engine has some unusual features such as exhaust preheating of the intake air to prevent carburettor ice and help atomize the fuel /air mixture. The engine also employs two magnetos to provide ignition but they are two six-cylinder magnetos! Each one provides spark to half of the engine, it is not equipped with dual spark plugs or any redundancy at all. As with most engines of this era it requires a great deal of periodic maintenance; including manually lubricating each exhaust rocker prior to, and after every flight and also lubricating the front main thrust bearing before every flight through the crankcase breather. 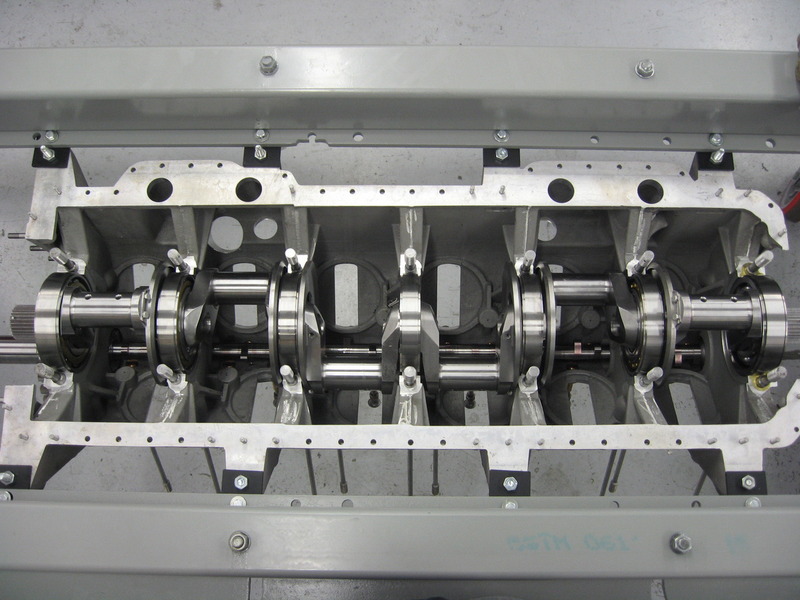 The 12 cylinder engine is extremely long making some means of controlling the oil in the sump necessary, the RAF4a uses a series of one way “trap doors” in the lower half of the crankcase to ensure oil remains around the oil pick up when the aircraft is in a nose down attitude. Another bonus of our rigorous test program is running each new type for many hours on our purpose built engine test rig and then inspecting the engine at various times during the test program. We can assess the condition and check for wear, generally make sure everything is functioning properly and also learn about it’s operation at the same time. 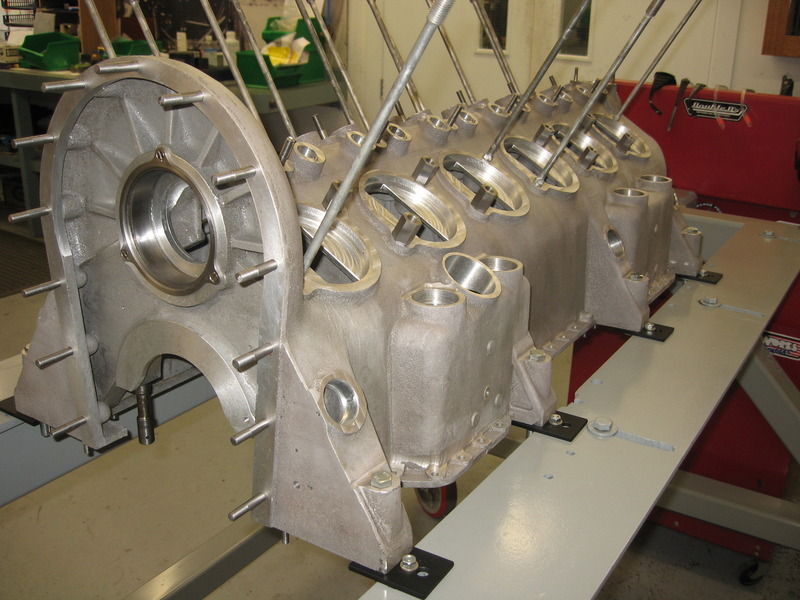 There are many areas that require a lot of care and attention when assembling one of these engines, and the machining required is a testament to the ability of the engineers all those years ago. See a video of the engine running. Dry Weight: 680 lbs approx.